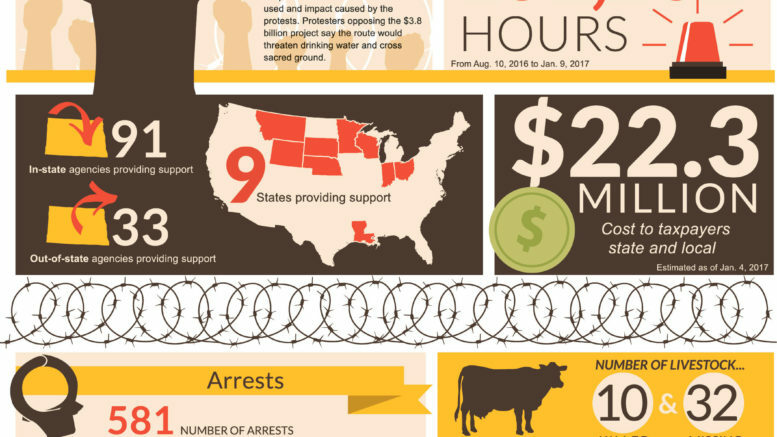 Yesterday, the Fargo Forum published an infographic titled “DAPL By The Numbers.” With a general title like that, we expected a graphic representing both sides of the debate over the controversial Dakota Access pipeline. The graphic tells you about the hundreds of people who were arrested; the 50 to 75 abandoned cars/structures at the protest camp; the millions of dollars the protests have caused taxpayers; and the dozens of livestock that have been killed or gone missing. Take a look. About those livestock crimes: we haven’t seen any reports of people being charged. So why are the protests to blame? An “audience engagement specialist” at the Forum, Ross Torgeson, came to the graphic’s defense after it was criticized on Twitter for being one-sided. You heard the man. Get on it! The Forum can be reached at news@forumcomm.com. 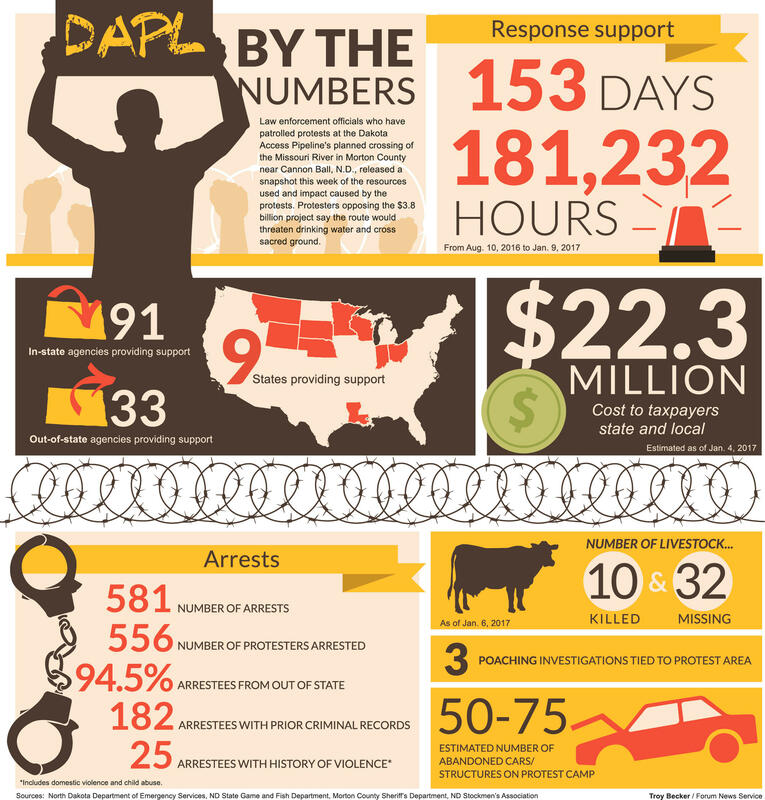 Be the first to comment on "Fargo Forum DAPL Infographic Is PR for Law Enforcement"